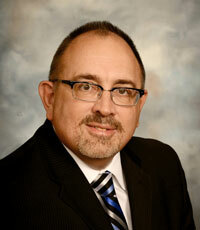 Dr. Olesh Babiak joined Associates in Anesthesia on July 1, 1990 as a staff Anesthesiologist. Having served on numerous Medical staff committees, Dr. Babiak was appointed Chairman of the Department of Anesthesiology in December 1998. He has served the department in that capacity since his appointment. Dr. Babiak primarily provides anesthesia services on an inpatient basis, as he continues to serve on numerous hospital committees, including Chair of the Pharmacy & Therapeutics committee until it became a system wide committee in January 2013, as well as serving as the President of the Medical & Dental Staff of Crozer Chester Medical Center, a position he was elected to in July, 2012. Dr. Babiak primarily concentrates his anesthesia practice in neurosurgical & orthopedic anesthesia, with an emphasis on regional anesthesia & analgesia to facilitate post operative analgesia, as well as proficiency in awake intubation techniques for the management of the unstable neurosurgical spine patient. His practice of anesthesia is evidence based and he has been the recipient of several teaching awards during his career at Crozer. 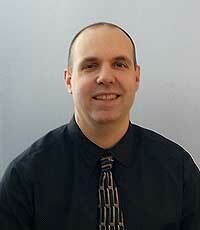 Dr. Babiak can be contacted via his administrative assistant, Mrs. Ann Bruni , @ 610-447-6579 or Ann.Bruni@AIAMD.com . Dr. Adam Hauser has served as the president of Associates in Anesthesia, Inc. for the past 12 years. 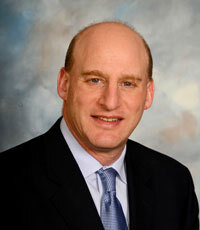 He is a board-certified anesthesiologist in practice at Crozer-Chester Medical Center for 20 years. He was part of the executive team that built and managed The Surgery Center at Brinton Lake, LLC, a 5 room multispecialty surgery center in 2006, and has served as its medical director since inception. In the past 2 years, he has worked with Children's Dental Health to create Children's Surgery Centers at Lancaster and Malvern. David Adamski, D.O. has been a member of Associates in Anesthesia, Inc. since 2011. He currently practices at Crozer-Chester Medical Center, Taylor Hospital, Springfield Hospital, and Brinton Lake Surgery Center. In 2016, he was elected to the AIA Board of Directors.